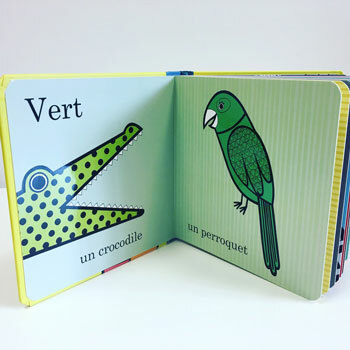 From green crocodiles and red strawberries to black cats and blue fish, this is a vibrant and stylish introduction to colours - in French! 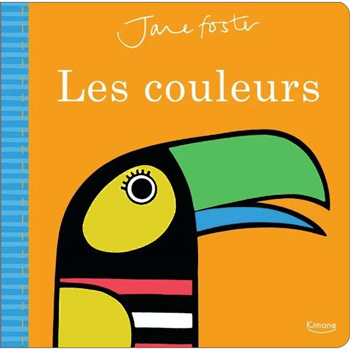 Beautifully produced by leading textile design Jane Foster this is a colourful board book with a cheerful retro look. Jane Foster's - Les couleurs is written entirely in French as it is aimed at native speakers. 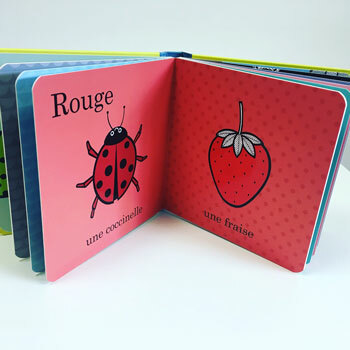 It is perfect for babies and toddlers, but could also be used in the classroom with older children to teach colours and basic vocabulary in French.